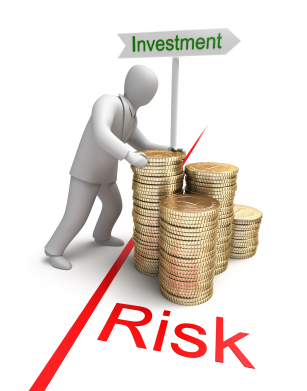 In every deal, both the buyer and seller assume some risk. 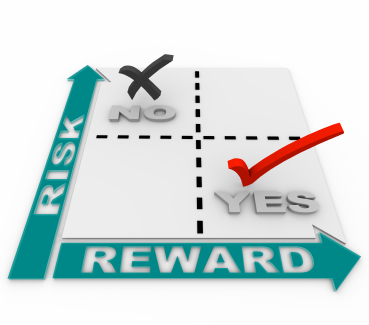 In a Buyers’ Market, the risk tends to be shouldered by the seller who must do anything and everything to attract a buyer (low down payments, marginal buyers, significant markdowns on price, etc.). However, in a Sellers’ Market, the buyer often shoulders the majority of the risk to create a value proposition for the seller. So, how does down payment mitigate a seller’s risk? In the current lending environment in NYC, banks are generally offering loans up to 80% Loan-to-Value (LTV). This means that the bank is willing to lend a borrower up to 80% of the appraised value of the apartment. While not impossible, obtaining a loan greater than 80% LTV makes a purchase more challenging for two main reasons – 1) many banks will not entertain a loan greater than 80% LTV and, more importantly, 2) sellers are skeptical to choose a buyer putting down less than 20% (and sometimes even more than 20% as we will discuss now). At this point, it is important to define the term, Mortgage Contingency. The Mortgage Contingency is a common and standard clause of the sales contract, and states that if the buyers are not approved for a mortgage with an agreed upon time frame, the contract is void and the buyer receives their contract deposit back without penalty. The Mortgage Contingency is a safety net for those buyers who are financing – especially those financing 80% of the purchase price. As you can imagine, a seller would rather the buyer “waive” their Mortgage Contingency and assume the risk associated with not obtaining a commitment from the bank. So, assuming the contract includes a Mortgage Contingency, how might a buyer be forced to exercise it? Let’s assume the buyer is putting down 20% (financing 80%) on purchase price of $1,000,000 – a down payment of $200,000. In order for the bank to agree to lend the remaining $800,000 (assuming 80% LTV), the apartment must appraise at or more than the purchase price of $1,000,000. Although, most apartments now tend to appraise right at the purchase price, it is possible for an appraisal to come in a little “light”. The appraiser uses prior building and neighborhood comparables (“comps”) to determine valuation for the bank. In a rising market, you can imagine that the recent “comps” may “lag” behind the current pricing – causing the apartment to “under-appraise”. Using our example, let’s assume the apartment appraises for $950,000 rather than the purchase price of $1,000,000. Since the bank uses the appraised value to determine the loan amount, and will only lend 80% LTV, we can expect the bank to lend $760,000 to the buyer ($950,000 x .80 = $760,000). As we stated earlier, the buyer planned to put down $200,000 and finance $800,000. We have a $40,000 gap! But remember, our buyer has a Mortgage Contingency – they therefore have a choice; 1) add an extra $40K to their down payment and buy the apartment, or 2) exercise their Mortgage Contingency and void the contract of sale. Now you understand why the seller considers a larger down payment attractive. Because the example above has the real potential of playing out, sellers will do anything they can to mitigate their risk of losing a deal by demanding a purchaser “waive” their Mortgage Contingency (potentially risky for a buyer putting down 20% without access to extra cash), or choosing a buyer who putting considerably more than 20% down (30+% to “all cash”). By doing so, they ensure there is a “buffer” between a possible under-appraisal and the 80% LTV requirement. This discussion leads to another common question I get from buyers, “So, is it even possible to purchase an apartment with 20% down in this market?” Absolutely! It may make the road a little more difficult – and certainly makes Preparation and Game Plan even more essential – but it is possible. How can you help yourself if you are a 20% down buyer? First, having a little extra cash to dedicate to the down payment if the apartment doesn’t appraise may give comfort to a seller and/or give you additional comfort to “waive” your Mortgage Contingency up to a percentage of the purchase price (i.e., 30%). Second, you can appeal to the seller in another way – namely PRICE. Once again, put yourself in the shoes of the seller. Would it be worth an extra $20,000 to take a risk on a 20% down, contingent buyer? How about $50,000? It is all about calculating risk – for both sides. Stay tuned for Part 3 of Purchasing An Apartment In New York City! Who knows, by the end of this series you may actually own an apartment in The Big Apple! Posted in Uncategorized.Tagged #boardapplication, advice, apartment, Apartments, borrowing, Brokers, Brooklyn, buyers' market, buying, buying an apartment, co-op, co-op board application, condo, condo board application, Cooper & Cooper, Cooper & Cooper Real Estate, Davey-Gislason, down payment, Eirik Davey-Gislason, Eirik Gislason, Happy, Manhattan, mortgage, Mortgage contingency, New York City, New York City real estate, NYC, preparation, Purchasing, purchasing a home, Queens, Real Estate, real estate new york, Real estate New York City scams bait and switch rentals cooper & cooper honesty ethical, risk, risk assessment, risk mitigation, Sales, sellers' market, the art of war, understanding your opponent. Next Post NYC Living: How Much Can I Store In Mom and Dad’s Basement and Get Away With It?